Jemini Crafts: Wooden Crate card design. 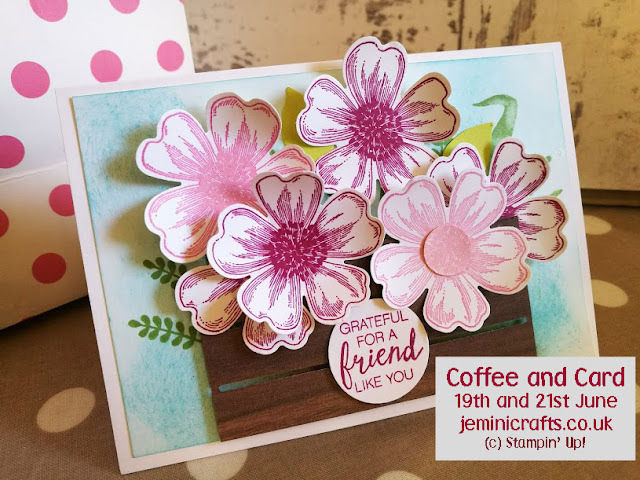 I just wanted to share with you my design for this week's coffee and card. 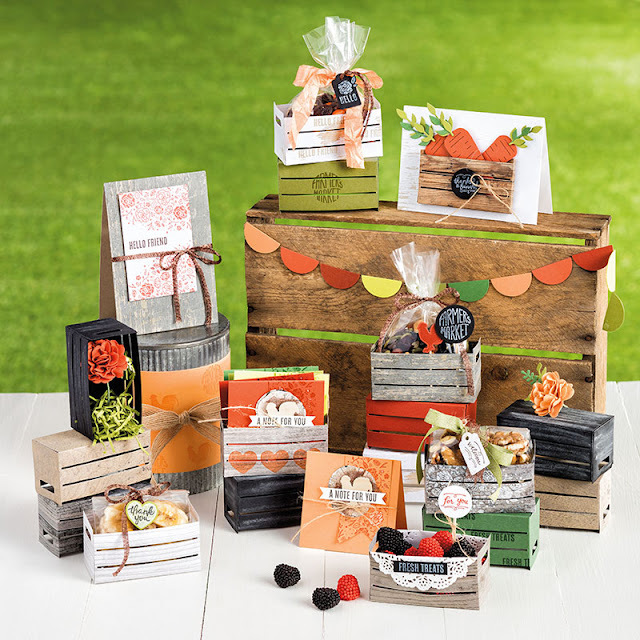 I have used the 3D Wooden Crate diecut, but only used one side of the crate to make a flat card front. You could use this with any floral stamp set (or indeed fruit/toys/all sorts! ); but I chose the Flower Shop stamp set and matching punch for speed and ease. Here are somples of the crate in its 3D form. Click on either photo to see more information on my website, including a video.